Chief Constable Ian Hopkins and ACC Mabs Hussain. Chief Constable Ian Hopkins has appointed a new Assistant Chief Constable to the ranks of Greater Manchester Police (GMP). 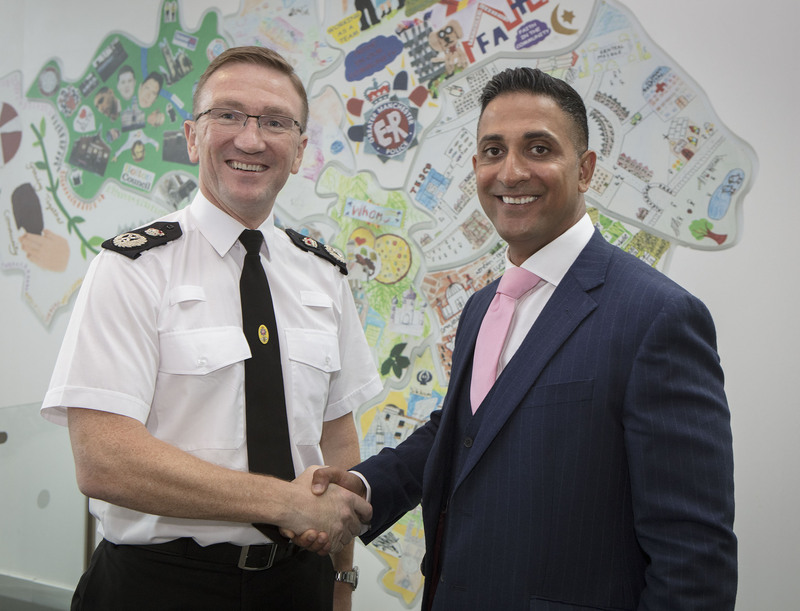 Mabs Hussain is joining the force from West Yorkshire Police (WYP), having spent the first 22 years of his policing career there. ACC Hussain started his career at WYP in uniform in Bradford and, over the last few years, has progressed through the ranks working as a Detective, in strategic Force postings and a period as the temporary Commander for Leeds – the largest policing district outside of London at the time.